Timber floors, walls, outdoor decks that require repair or refurbishing? 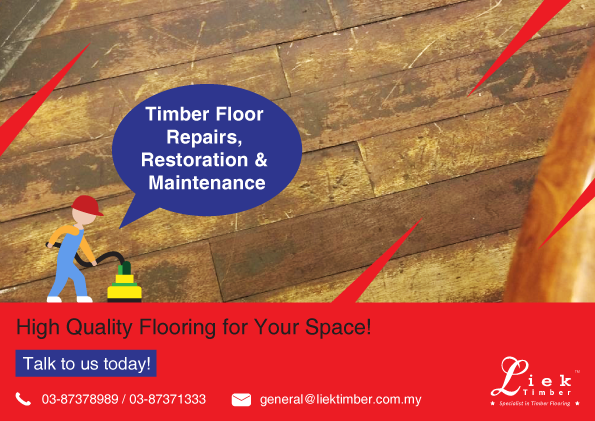 Just contact us at Liek Timber Flooring and our team will be more than glad to advise how we can help! Liek Timber – Specialist in Timber Flooring! At Liek Timber Flooring, we believe beautiful walls and floors are the heart to any home. Liek Timber © 2018. All rights reserved.